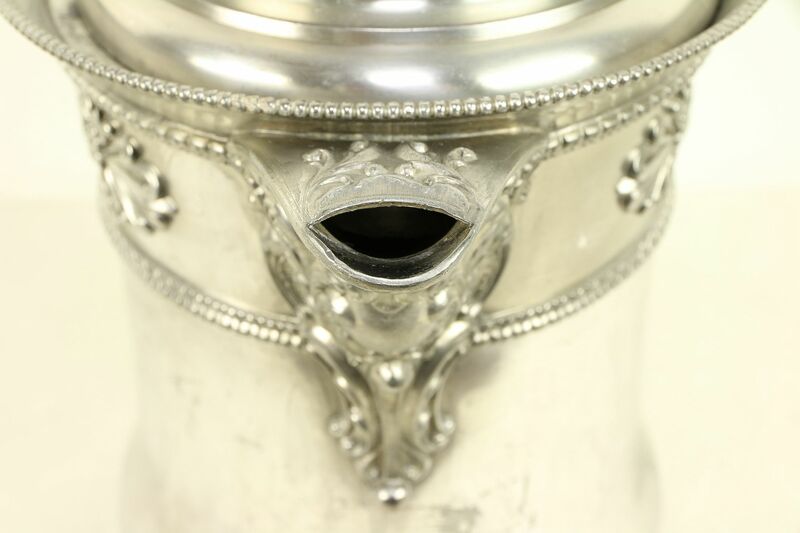 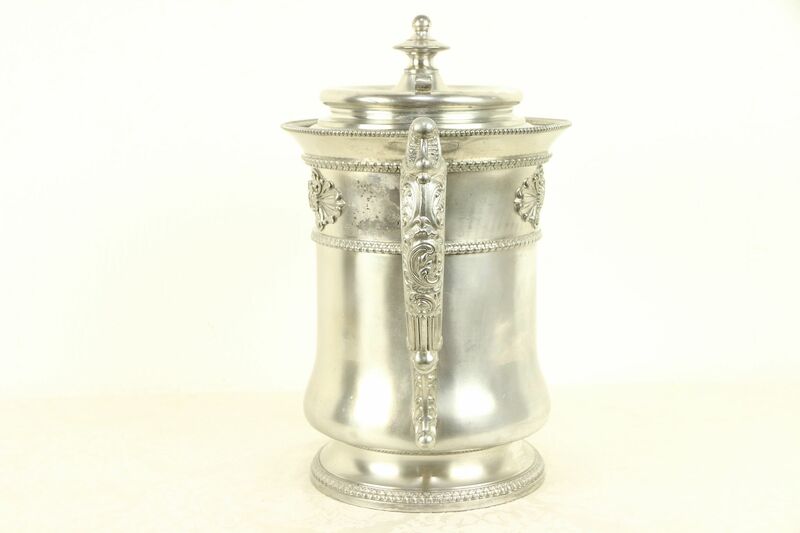 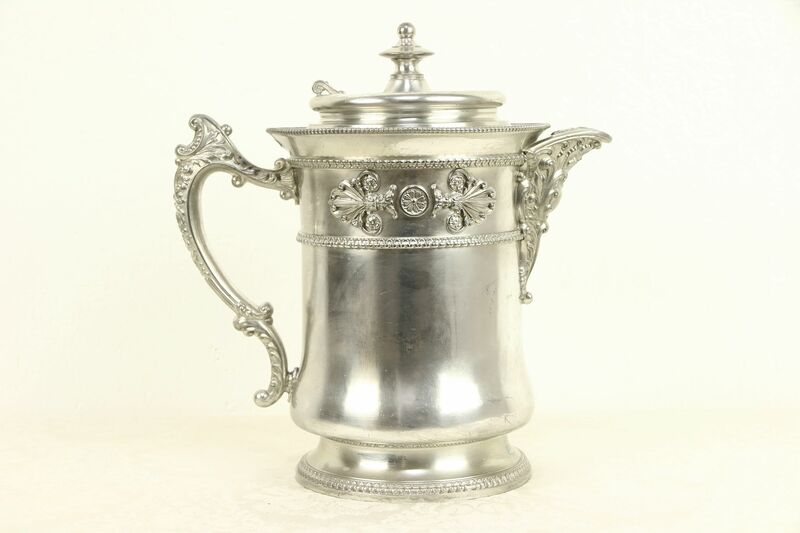 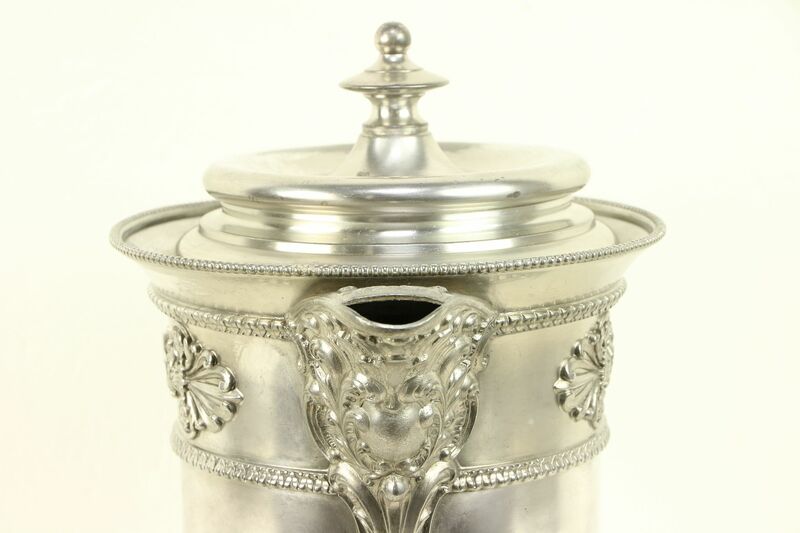 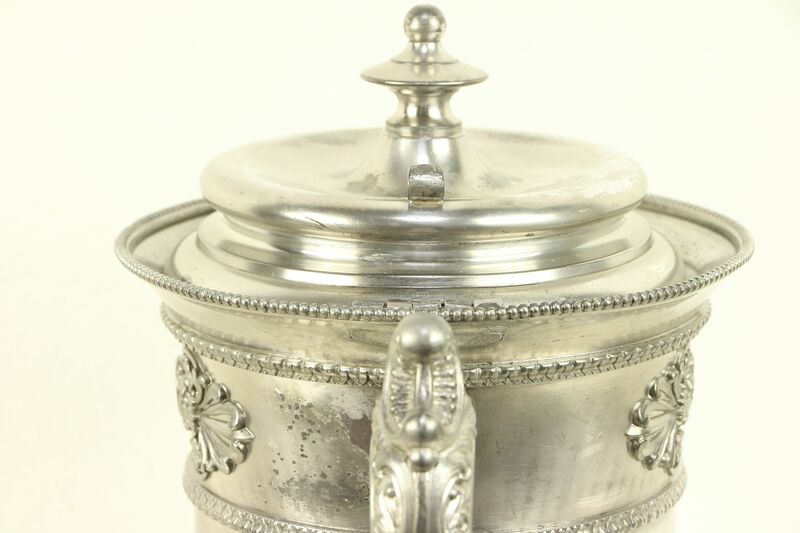 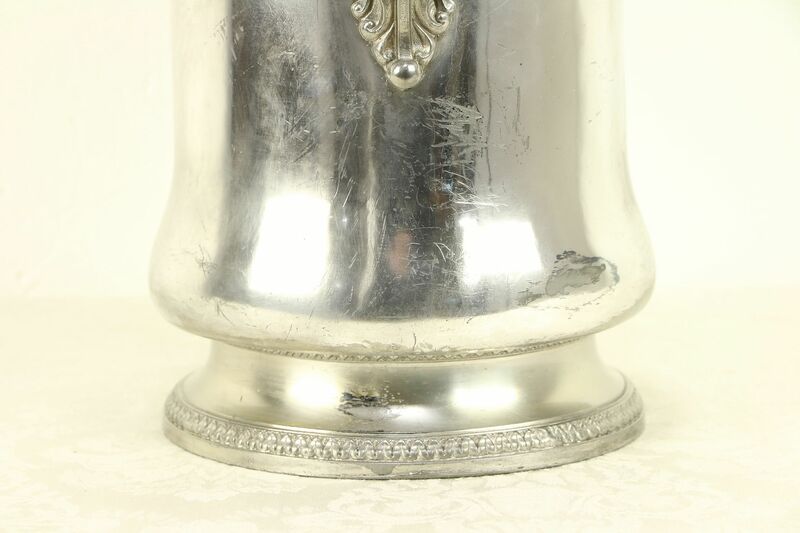 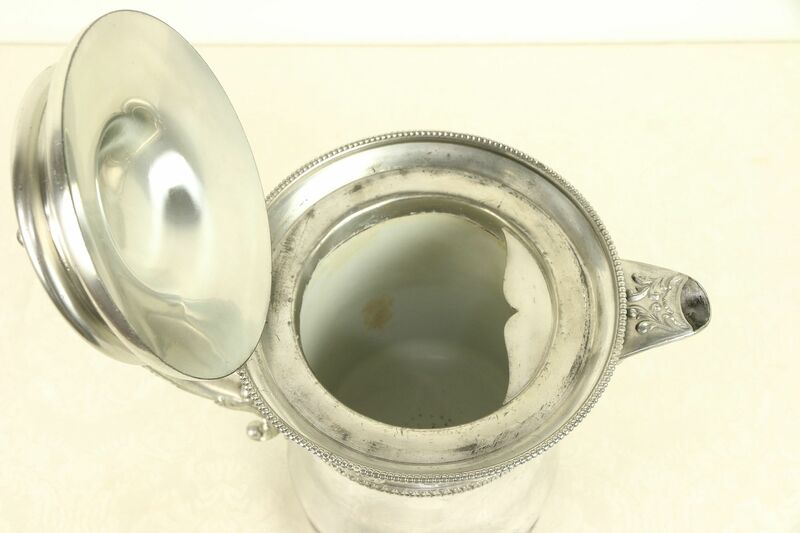 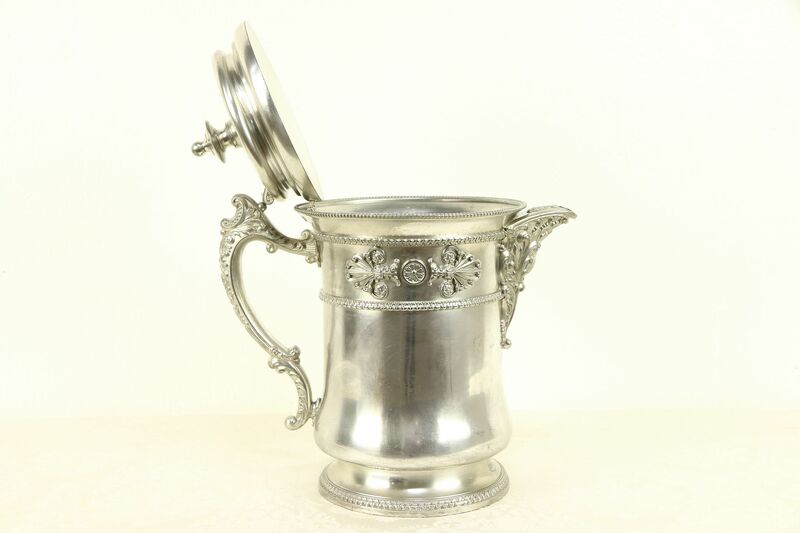 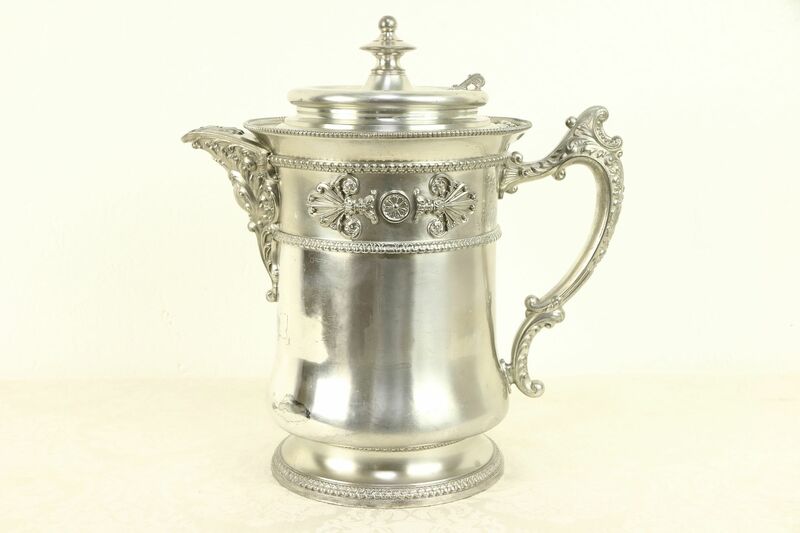 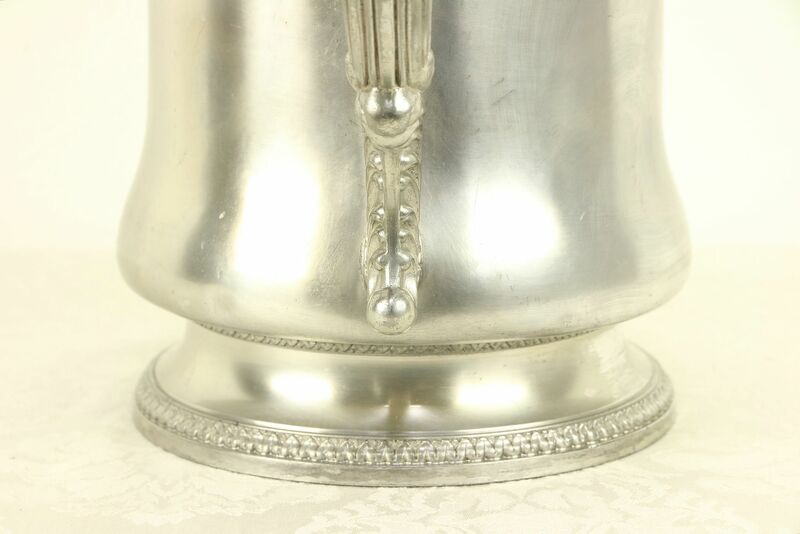 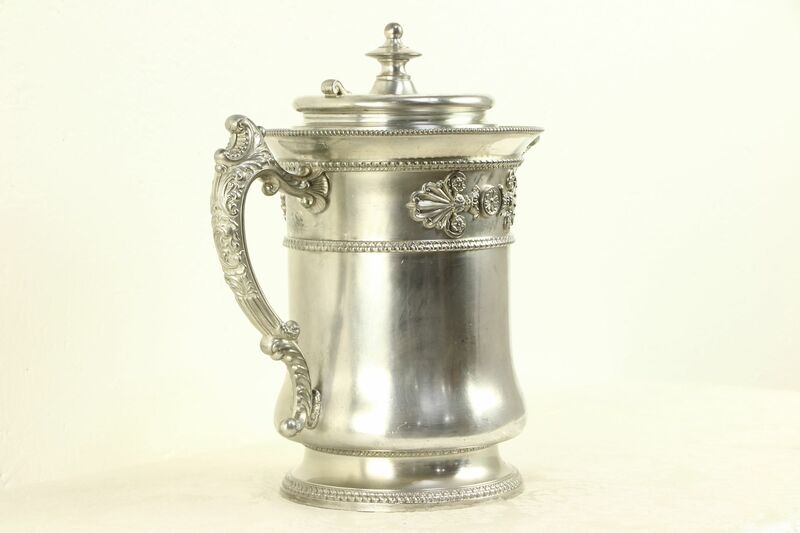 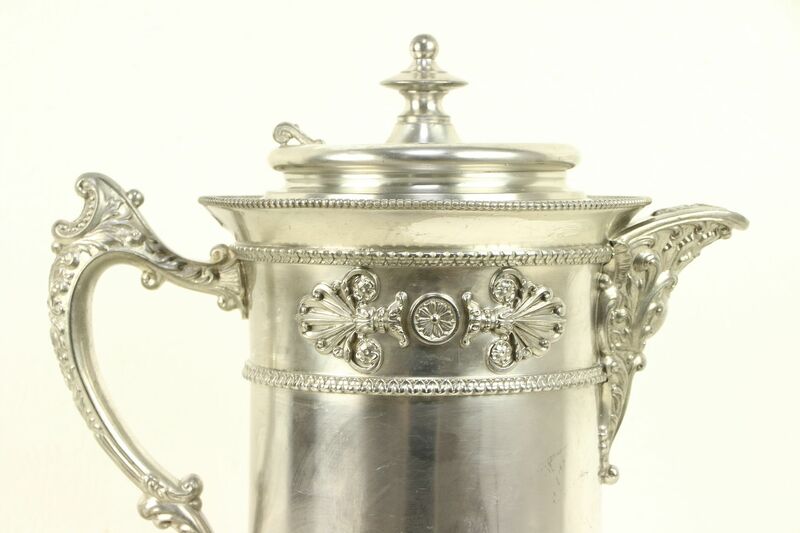 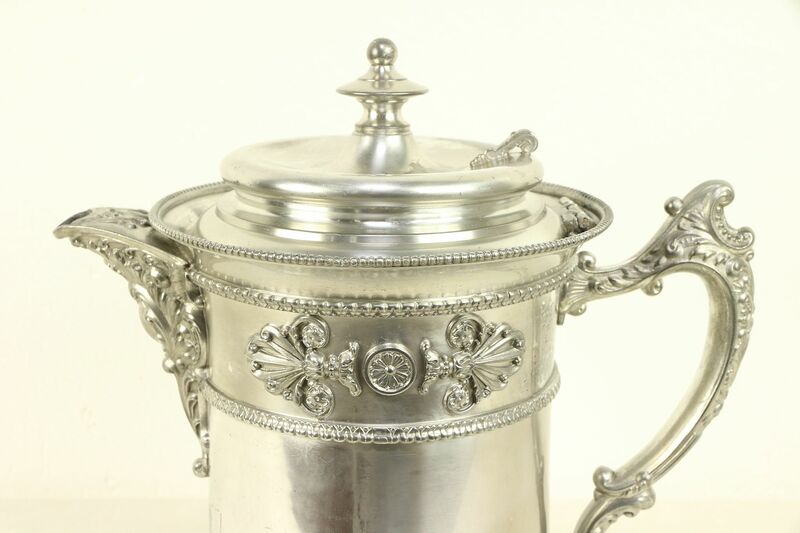 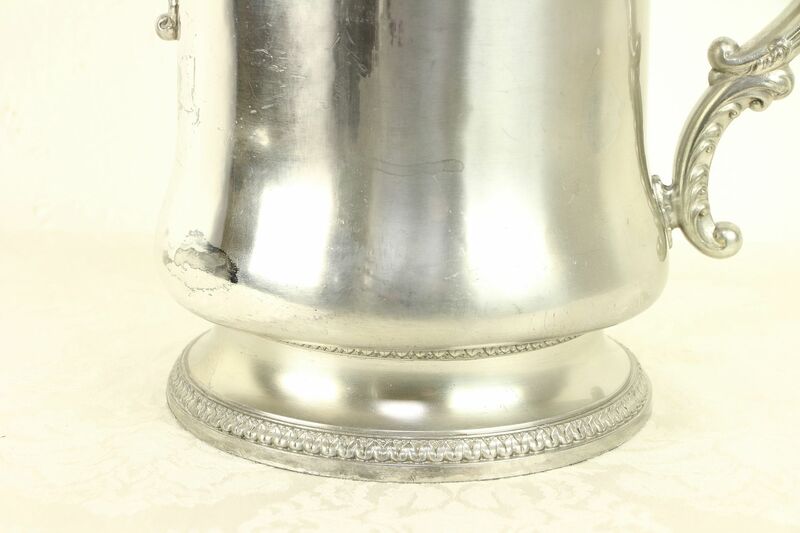 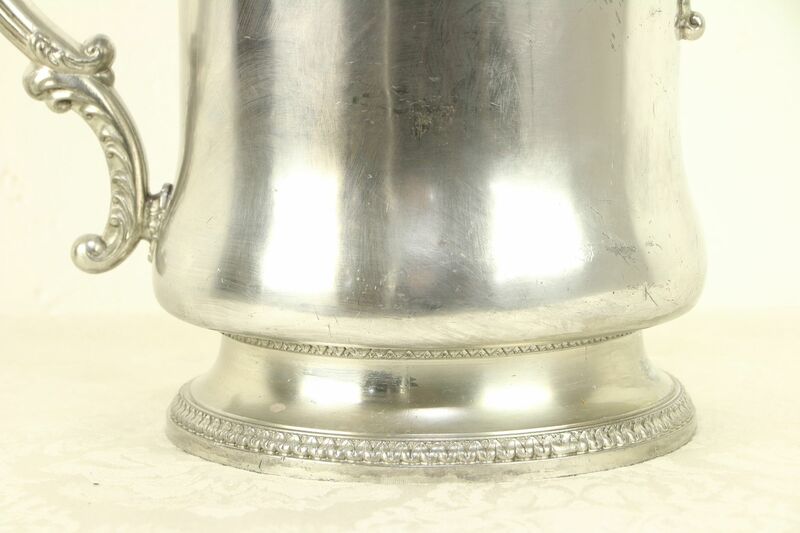 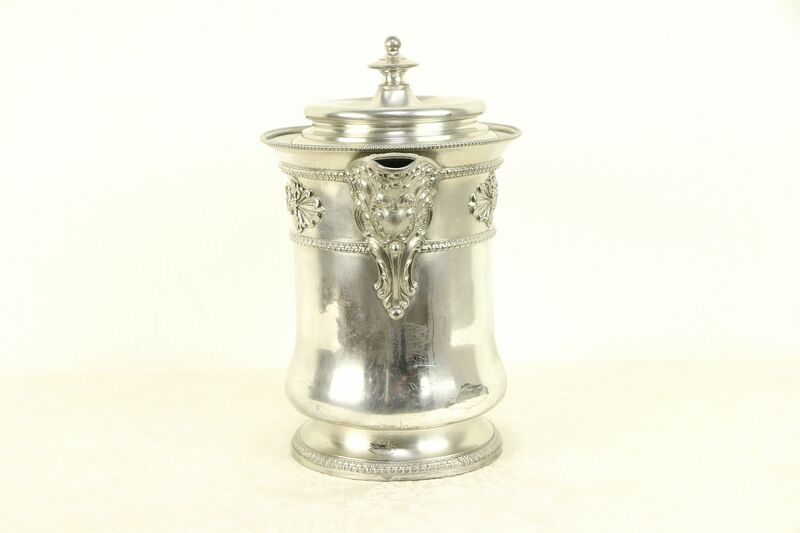 A Victorian period "insulated" silverplate water pitcher is embossed with classical designs. 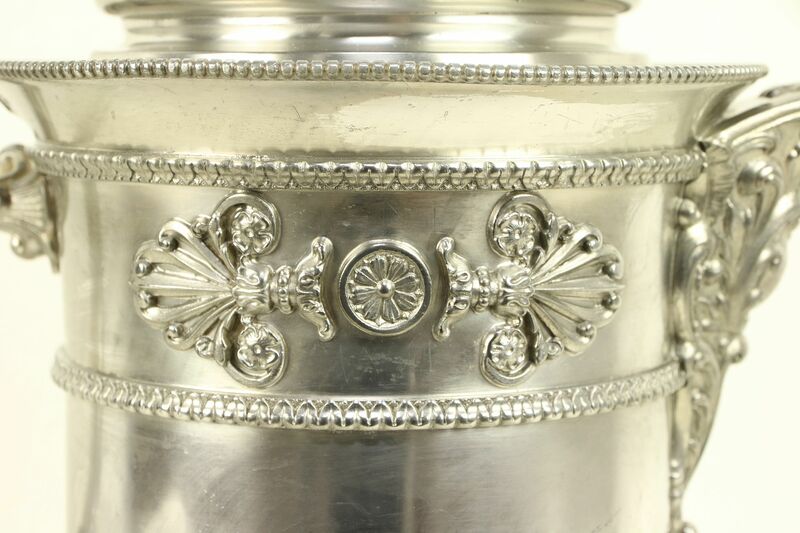 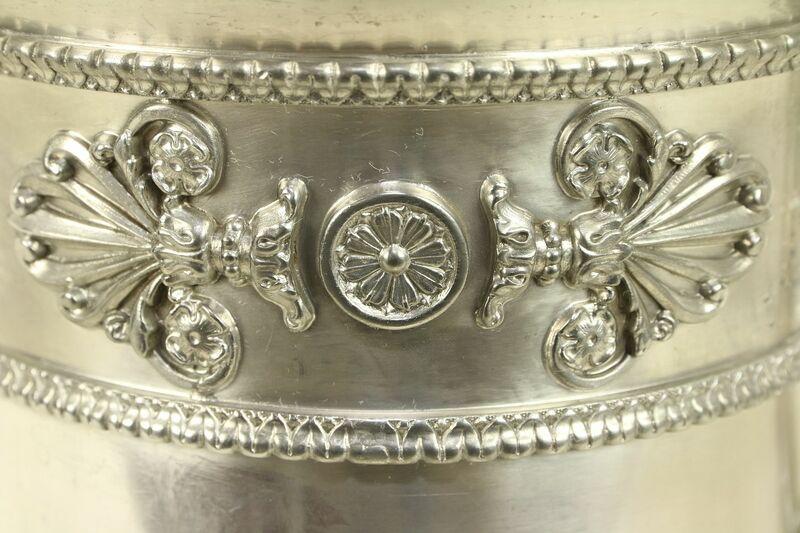 There is wear to the silver, which has been lacquered. 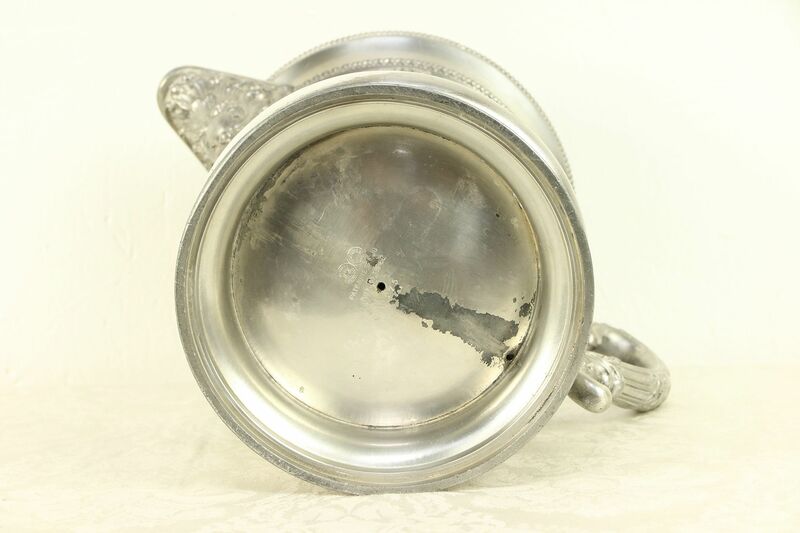 Signed by Connecticut maker, "Meriden, Pat. 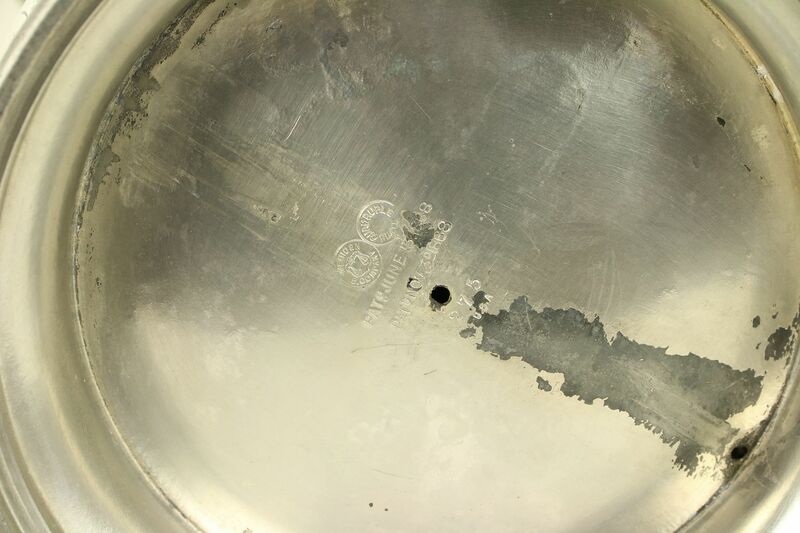 1868," this American made antique serving ware has minor dents and dings, see photos. 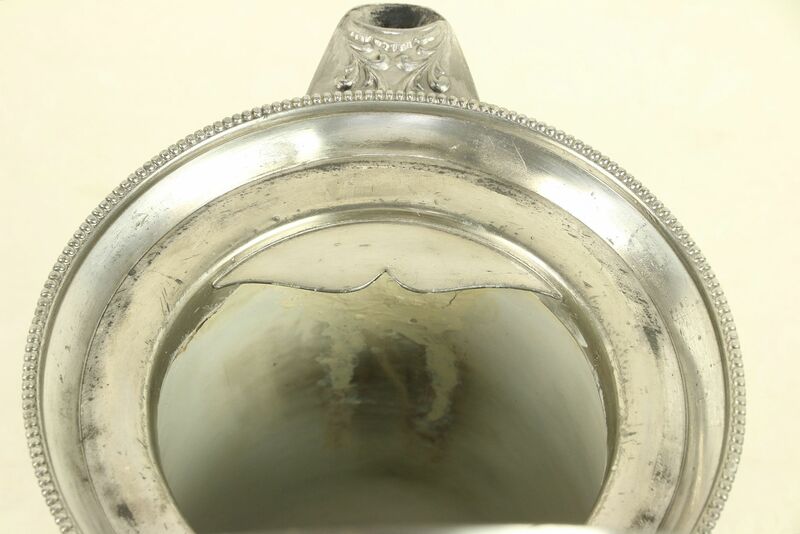 The interior is porcelain enamel. 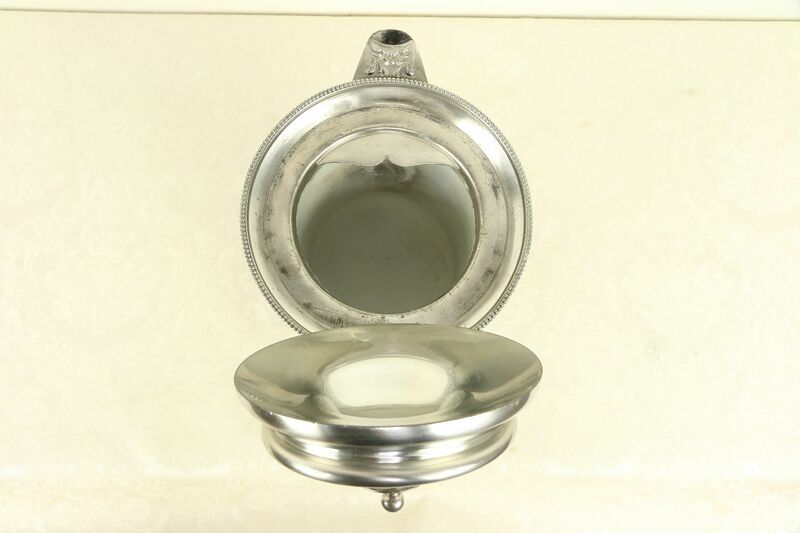 Size is 11 1/2" across, 7" deep and 12" tall.